If you are looking for information on how to apply for a South African passport online, then you are on the right page. eHomeAffairs has been made available by the Department of Home Affairs to enable you as a South African born citizen to apply for your Smart ID Card and/or passport online. 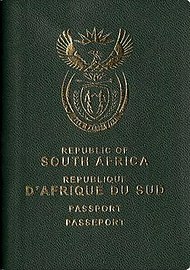 Currently there are six types of South African passports which are issued to her citizens: Regular Passport, Maxi Passport, Child Passport, Official Passport, Diplomatic Passport, Tourist Passport. Temporary Passports has been discontinued from 1 September 2014. Hope you now understand the requirements and process on how to apply for a South African Passport online. If you have any comments or suggestions, you can comment below.